International & cross country vibes this week at Shapes... To be fair, that's pretty much the vibe every week. Maybe we should do a New York born and raised line up soon 🤔 Either way, this is sure to be an amazing party hosted by the man, the myth, the guy down the street, Ryan Trinidad. Vibes. 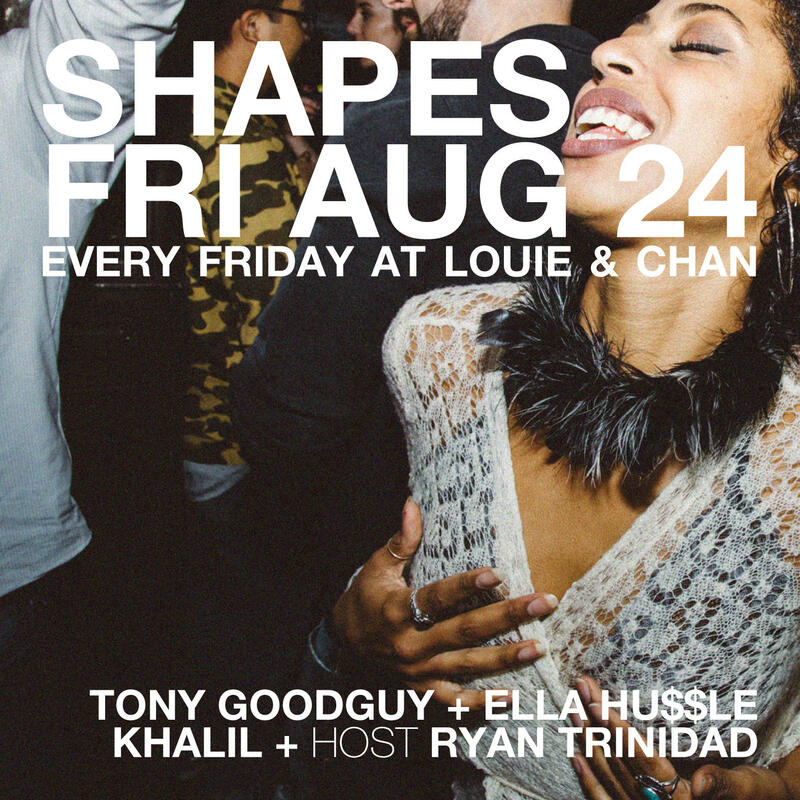 Curated by esteemed duo Khalil & Derrick - Shapes takes place every Friday night at Louie and Chan with the best DJs in NYC and beyond. Expect a musically educated party with nothing but good music and good vibes whatever the genre, with a healthy dose of RnB, House, Dancehall, Hip Hop, Afrobeats, and 80's Soul.